Experience a fun and easy way of exploring Budapest and speed through the city on foot without taking a step! 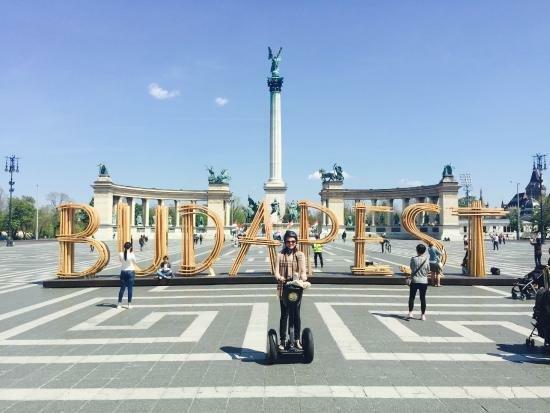 The Segway, these truly expensive and difficult to store vehicle is not the perfect device for everyday transportation however it is unmatched as a sightseeing tool. Let us handle the dull parts of the deal so you can enjoy the ride to its fullest.A fabulous time is guaranteed as your guide meets you by the Opera House and teaches you all the basics of operating this device which is, believe us, much easier than it seems. After a brief adjusting, you will head straight through the historic Andrássy Street to view some of this city’s most exquisite icons. Take a trip to the city’s most lively and largest gardens on your wheels and witness the beauty of the Heroes’ Square, the Museum of Fine Arts, the Hall of Arts, the Széchenyi Spa and the beautiful Vajdahunyad Castle by the City Park pond lead by your attentive guide with all the answers to your curious questions. Grab the handles and speed into adventure aboard your two-wheeler!